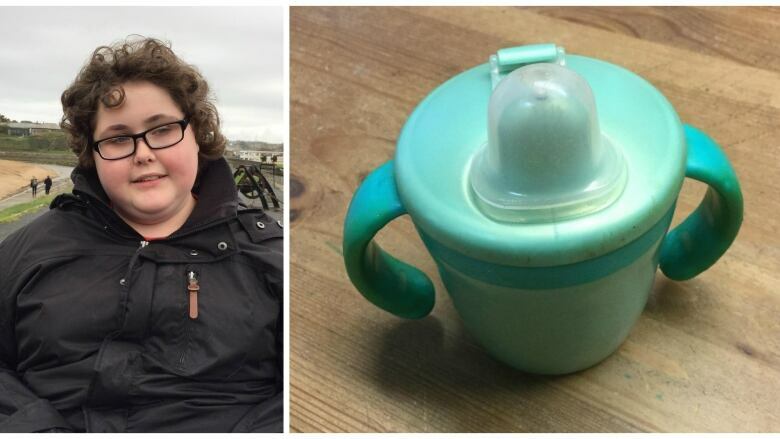 A British father who needed a specific type of sippy cup for his autistic son takes his request to Twitter. Now, the manufacturer of the cup is providing him with a lifetime supply. To most people, it's just a sippy cup — something you'd find at all kinds of stores for a few bucks. But, for Ben Carter, a 14-year-old in the U.K., it's much more than a cup. It's the cup — the only cup he has used for the majority of his life. 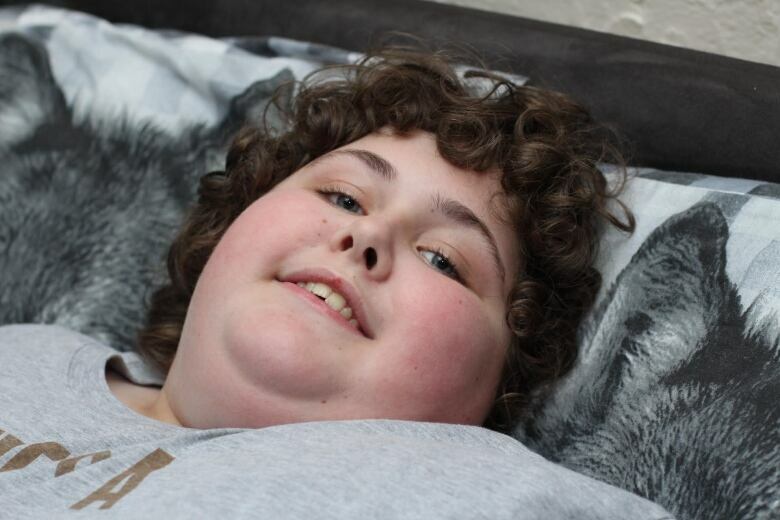 "Ben is severely autistic and he has a severe learning disability. He's non-verbal, non-communicative, and he doesn't understand that he can use another cup," Ben's father, Marc Carter, tells As it Happens host Carol Off. The Carter family lives in Devon, U.K.
"It has always been a massive issue in our lives. We try not to think about it because there wasn't anything we could really do. [We've] tried to change him and get Ben to accept something else.… But, Ben just won't," says Carter. Ben Carter using his sippy cup. (Marc Carter)Ben has been using the same sippy cup since he was two years old. A few years ago, his father was able to find an identical replacement through a friend. But, now, that replacement cup is falling apart. Tommee Tippee, the company that originally manufactured it, stopped making the cup over a decade ago. Even with the right sippy cup, it can be quite a challenge to get Ben to drink enough liquids, explains his father. Ben won't drink unless he's eating. He very rarely eats when he's not at home. Marc Carter is Ben Carter's father. (Marc Carter)Carter recalls an incident a few years ago when Ben had tonsillitis. 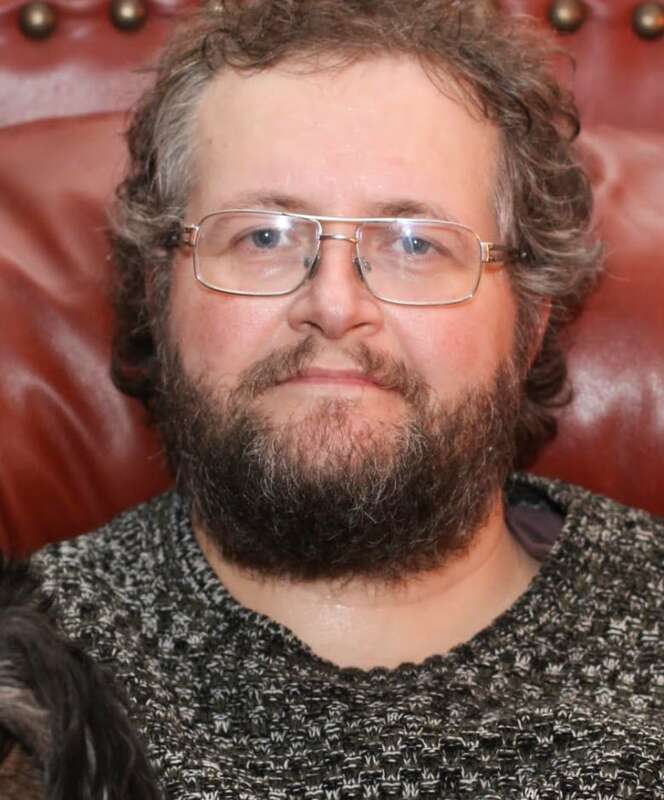 With a sore throat, Ben didn't want to eat and went 120 hours without fluids. He ended up at the hospital. "They were getting ready to put him under so they could put a line in. They had to completely knock him out for it, at which point, he grabbed the cup, took a sip," recalls Carter. "That's the only time we've known in his life where he has actually had a drink without food." A couple weeks ago, in an act of desperation, Carter turned to social media to try and find a replacement cup. Soon, the story was picked up by the media. "Everyone was saying contact Tommee Tippee. Everyone was tweeting them [saying], 'Make him more cups.' Bless them. It wasn't their fault," says Carter. "[Tommee Tippee] managed all the social media for me. At one stage, I think I was getting 50 tweets a minute. So, I couldn't possibly read them and check everything … Ben's older brother and younger sister also have special needs. So, I do full-time care. I'm quite busy." Eventually, Tommee Tippee was able to find an old mould of Ben's cup at their factory in China. The company has agreed to make 500 identical cups for Ben. "It's lovely. Of course, [Tommee Tippee] is getting publicity. But, you know what, they deserve it." 14-year-old Ben Carter. (Marc Carter)Now, Carter is trying to slowly transition Ben to a new version of the sippy cup. "I've already tried to swap the base of his current cup … Ben realized. He completely rejected his drink. Then we swapped it back. But, he wouldn't accept it. It took us nearly 24 hours to get him drinking again. That was scary," says Carter. "What we've agreed is that we'll slowly get him to a new cup. We don't know how. But, we will. When he's there, we'll throw them away every two months when they start to scratch or look a little bit old. So, he never notices again." Carter has received some negative response to his story. "I had a message a couple days ago from a woman who was absolutely adamant that she could fix him.… As far as we're concerned, in this country, there isn't a cure for autism. It's not a disease," says Carter. "I want to keep talking about it because I want to raise awareness about autism. This isn't just about Ben and his little cup. There are lots of Bens out there." Carter is fundraising to make a documentary about Ben's story. For more on this story, listen to our full interview.